Located on this page are some of the most Frequently Asked Questions that we receive on a daily basis. We hope that you find your answers here! If not, please contact us. Can’t you just put in a bigger breaker? No. The breaker size is directly related to the size of the smallest wire in that circuit. It is rated to ensure that the current does not exceed the safe limits of the wiring. The breaker size cannot be increased without changing to larger wires. My lights were off but now they’re on, I guess I don’t need you. Wrong, wrong, wrong!! If power goes out and back on by itself it is a sign of a poor connection somewhere in the circuit. This is the type of thing that can build up heat to dangerous levels if not located promptly and repaired. Now, it's understood that a consumer wants, and has the right to know what a particular product or service will cost them, but in all fairness (to both parties) there are a few things that should be understood. Giving an estimate on an installation is sometimes easier than giving one on repairs. A Contractor may be reluctant to come give an estimate on repair work unless they are assured of getting the job if their price is within some predetermined limits. If the answer to the problem is not immediately obvious, you may expect to pay something for these diagnostic services. Repairs may sometimes have a very simple solution, but it may take some extensive labor and troubleshooting procedures to find out what that solution is, and the Contractor has a right to be compensated for this. Recommendation: Choose a Reputable Local Contractor (with references if necessary). Do I need to buy a special bulb for my garage door opener? It’s best to use a rough service bulb. Do all of the outlets in my kitchen need to have ground-fault circuit interrupters? No, if the first in the series is GFCI, then all are protected. What’s causing my fluorescent fixture to hum? The ballast probably needs to be replaced. Another sign of a faulty ballast is black tar-like substance oozing from the fixture. Can I use any extension cord outside? Never use an interior extension cord outside. Exterior extension cords are designed with a tough outer jacket that protects the inner wire. Protect outdoor extension cord connections by using a plastic outlet cover. Is there a special receptacle I should install outside? Yes, there is a special box with a cover designed to protect. In addition, the receptacle should also have ground-fault circuit-interrupt protection. My dusk to dawn light doesn’t go off and remains on all day. Do I need to replace it? First find the sensor and see if it is being obscured by something. If not, we can probably just replace this sensor. My dusk to dawn motion detector doesn’t come on. What’s causing this? There is a switch inside the house that needs to be turned on. I expect that if you need to ask, the answer is probably NO! electricity can be dangerous! Electrical work done inproperly can create situations that cause electrocutions and fires! ...and people are always asking such basic questions that suggest they haven't done ANY research or study at all... All the dangers and risks aside, could I do brain surgery? Perhaps, with information, training, experience and support! Can you fix your car (like the shop does) or put up a wall (like on those construction sites with new homes you drive past, not just fiddled together)? Do you know garbage work when you see it? Are you stubborn enough to do it right even if it is a pain in the neck and you can see five ways to do it that " ... wouldn't be the right way, but it'll work" ... then get information and look for support so you can get educated, trained and experienced. There is nothing more satisfying than doing it yourself. Ask any two year old! I have a panel that is making some noise. We would be concerned. Panels shouldn't make buzzing noises. If it is not something obvious, like a doorbell transformer, we would be concerned that there is a loose fitting breaker and that the buzzing noise is the sound of the breaker/busbar contact point burning up under load. A symptom might be a "hot" breaker. We would have this inspected by someone qualified. When you are resetting circuit breakers or changing fuses to often. When you turn on your air conditioner and the lights dim in the room. When your lights flicker or go on and off. When you can smell electricity burning. When you have six electronic devises going into one outlet in back of your electronics center. When you have receptacle outlets overburdened by multi-plug strips. When a three-prong plug needs a two-prong adapter. If you have to run extention cords to plug in electrical devises. The most electricity in your home is used by Electric Heat, Air conditioners, Electric Hot Water and your Electric Dryer. You could help by getting an automatic thermostat. Those long showers are nice but there costing you extra money. Do you really need to run that dryer that often? One other thing that could cause a problem would be a bad breaker or loose connections at the breaker. Depending on what part of the country you live in, heating and cooling are the largest contributors to most household energy bills and are the best places you can look to save money. After making sure your home is well insulated, make sure your heating and cooling systems are running efficiently and central systems are checked annually. To keep equipment running efficiently, keep heating and cooling air ducts clean and outdoor equipment free from dirt and other debris. Any bathroom or garage outlet within 6' of a sink must be GFCI protected. The code also requires all kitchen outlets for countertop use to be GFCI protected. GFCI outlets must be installed in any area where electricity and water may come into contact, including basements, pools, spas, utility rooms, attached garages and outdoors. At least one GFCI outlet is required in an unfinished basement and for most outdoor outlets. How does one calculate the cost of operating a light bulb? To calculate the cost of operating a bulb for one day - multiply the bulb wattage times the hours per day the bulb is used, divide by 1000, and multiply by the Electric Company's cost per kwh. For example: 100 watts x 5 hours divided by 1000 x NIS 0.42 = NIS 0.21. What is the probability of my home catching fire because of electrical problems? 1 out of 5 fires originate from electrical problems according to USFA, (United States Fire Administration via the National Fire Incident Reporting System). There is a fire every 67 seconds in the US and a fatality every 105 minutes. Most tragic fires which start at night or in the early morning hours are electrical fires. Check with your local fire marshall or news reports. Why is arcing considered a serious problem? By its very nature arcing develops heat in a localized area and produces hot embers in the form of sparks which can then ignite dust, wiring insulation, or other combustibles that may be nearby. This heat may be in an enclosed ceiling or wall outlet box, thereby causing a fire that can go undetected by people or smoke detectors until the fire is beyond control. Also, in most cases the circuit breaker cannot see or detect arcing until it is so damaging that a massive short circuit current has developed. Can I do something to help reduce the chance of an electrical fire? No, not without adding an arc detection device, such as, Zlan's DE circuit breaker. Even though presently there are a few warning signs, such as: warm outlets, flickering lights or warm extension cords, today's circuit breakers cannot detect or trip for these conditions. Often times these arcing conditions are out of sight (inside walls and attics). Both old and new homes and businesses are subject to electrical fires due to arcing. 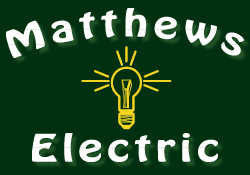 Electricians are unable to give your wiring a clean bill of health and warrant its safety. Electricians lack proper test equipment for testing for arcing conditions. Even if test equipment was available, hazardous conditions could occur moments after inspection.